What do you think of the Circuit of the Americas? It’s a nice circuit. The layout is quite interesting and the racing last year was good. The sectors of the track are fairly different, so there’s a challenge there. Last year the days started out pretty cold so it was very slippery, but hopefully now it’s been used a bit more the track surface won’t be as shiny, so it should be easier to get the car as we want it. You’ll be using the shorter wheelbase car again; why is this? It has a better feeling for me and seems to make it easier for me to get more of what I want from the car. We’ve been trying to get rid of understeer to get the car more as I want it and the shorter car helps with this. Any thoughts looking back at your race in Abu Dhabi? It wasn’t the longest race I’ve been in; certainly not as good as my 2012 race there either. Obviously it wasn’t ideal, but that’s the way things go sometimes. We should have a much longer race in Austin. What’s your previous experience of racing in the US? I competed in seven Grands Prix at Indianapolis. Unfortunately the one time I felt I had a really strong car there it was 2005 when only six cars raced and I wasn’t one of them. I did get pole position in 2003, but none of the races there are ones I remember well. In 2011 I tried NASCAR. I did two races on the Charlotte oval and I really liked it a lot. That was probably the experience I needed to open my eyes for racing again. After that I really wanted to come back to Formula 1, while it was a tempting idea to do more NASCAR too. How are you looking forward to racing in Austin again? After going there for the first time last year – like everyone – I’m particularly looking forward to this one. I like the American atmosphere, it’s just a relaxed environment. They know how to have fun, and most of all they love racing. What are your memories of last year’s race? It was an okay day, but not a very easy one for us. I got a bad start and then I touched with another car on the first lap so I had a lot of work to do. We were using quite hard tyres for the race so it was difficult to get the performance you wanted from them; especially when it got cooler because of the clouds that day. Hopefully it’ll be clear skies this year. Do you think a better performance is possible this year? The car has been feeling pretty good and we’ve seen some good races this year. We won’t know how good it is in Austin until we’re out on track, but we’re certainly pushing for a good result. How are you looking forward to Austin? I am looking forward to it a lot. Last year we had a reasonable weekend there in what was Formula 1’s first visit to the Circuit of the Americas, but this year I think there’s potential for a lot more. In 2012 the track surface was new and temperatures were quite cool, so we struggled to find grip and also to get the best setup as we learnt the new circuit. This year we have all the data from last time, we’re expecting warmer temperatures and I know both the team and myself are working really well together to extract strong performance from the car. What particular challenges does the Circuit of the Americas present? It’s quite a balanced circuit in that you don’t need one particular thing over another for the car to perform well, but it should be a circuit where the E21 can go strongly once again. Last year the challenge was finding the level of grip we wanted and I expect this to be a challenge again. The tyre allocation is quite hard so you really have to work the tyres to get them in the best performance window. We expect warmer temperatures this year which will help and the track surface will have changed a bit from the very new surface we had last time. All in all, I think we have potential to go quite well. You’ve been making some lightning starts recently; can we expect more of the same in Austin? It’s fair to say the starts were not my strongest point last year, but I’ve been working hard with the team to improve and it seems to have been working; particularly at the last few races. I was able to get into the lead in Japan and in Abu Dhabi I was able to find a line on the slippery stuff around the outside through the first few corners. I certainly want to qualify as near to the front as possible in Austin, then to make a great start into the lead would be a perfect beginning to the race! My first visit was for the race last year and I definitely like the USA. It’s such a big country and I know I’ve seen only a very small part of it. Since last year I’ve bought myself a Harley Davidson, so visiting Austin last year must have made an impression! I’ve had it customized so maybe I’ll have to ride it around the US sometime in the future. As well as great motorbikes, we saw so many enthusiastic fans last time which was really great. Was it frustrating missing out on a fourth consecutive podium in Abu Dhabi? Of course it was! I think I was around a second behind [Nico] Rosberg at the end and I’d been catching him pretty well during the final few laps, but we just didn’t quite have the pace to get close enough before the flag. It’s a shame we couldn’t make it four podiums in a row, but when you remember the issues we had in FP2 and qualifying in Abu Dhabi I think to come away with fourth place is a decent result. On race pace alone we could maybe even have pushed Mark [Webber] for second place, but that’s how it goes sometimes and I think we got the maximum we could from the race. Can you return to the podium in Austin? We’re certainly aiming for the best performance we can get; let’s see what happens. It’s busy times for the team? It’s no secret that there is a lot going on at Enstone at the moment, but we’re being kept busy putting everything in place to secure the team for the future. This isn’t the work of a moment and it certainly doesn’t move at the pace which most of us would want it to, but we keep pushing. Aside from everything behind the scenes, the main positive is that we continue to have a strong car on track and we aim to make the most of that in the remaining races of 2013. How is the relationship with Kimi? He is completely on side. We all spoke in Abu Dhabi to make sure we know where we’re going – and how we’re getting there – for the final races of the year. Our focus is first on a good performance in Austin, and then the focus becomes getting a good result in Brazil. Is it a challenge to have a different wheelbase car for each driver? It’s a matter of setup and getting the car exactly as the driver wants it. Romain prefers and gets more out of the longer wheelbase, while Kimi prefers and gets more out of the shorter wheelbase. We are able to run with both configurations without issue so this is what we’re doing. If either driver wants to change configuration again then of course we can do this, but it’s not a quick job. How important is it for Formula 1 to succeed in the US? It’s a market where Formula 1 should be. We already have some American partners, including two brands from very strong American-based international companies in the form of Microsoft Dynamics and burn from The Coca Cola Company. It’s good to be racing in their home country; it’s a land of tremendous opportunity for Formula 1 and we hope to build on this opportunity in the future. What’s the aim for Austin? We missed out on a podium in Abu Dhabi, but it’s clear that the car had the pace to be there. That’s where we want to be as that’s where you get the most points. It would obviously be fantastic if we could get both of our drivers back on the podium before the end of the season, and if they could both be there in Austin I’d be a very happy man. There are two races left and 86 points available, so mathematically it’s still possible and we’re not going to stop pushing in any regard. Of course, to score maximum points you need to occupy the top steps of the podium and there’s a Red Bull plus Sebastian Vettel shaped problem there. Certainly for us, it would be good if Seb took an early winter holiday! Looking at the standings and how the teams have been scoring in the last few races, you would have to say that third certainly looks to be a little more within reach, but our approach is the same; to keep pushing all the way. How do we expect the E21 to fare in Austin? There are certainly no particular features of the circuit that give us cause for concern. The layout has a similar feel to Korea in many aspects, with high speed change of direction in the opening sector, a long straight in the middle sector, and low speed traction events combined with a long continuous curve in the final sector. It’s a circuit we should be comfortable with by all accounts. It’s an impressive facility. There’s a steep uphill section into turn one, then turns two, three and four are flat out in seventh gear; taken at around 280kph before dropping down to fifth gear for turns five and six at around 220kph. Combined, these make for a fast opening sector after the tight opening turn. Turns seven to ten don’t present any particular challenge to the drivers, while turn eleven not only provides a good overtaking opportunity, but is also crucial for a decent run down the long back straight. We expect to see the cars reach around 315kph here, with heavy braking into turn twelve at the end. Turns thirteen to fifteen are all low-speed, second gear corners, with sixteen to eighteen forming a long right-hand curve that by nature induces a fair amount of understeer. The lap concludes with two relatively straightforward left-handers at nineteen and twenty, before heading down the pit straight. One difference for this year sees the inclusion of a second DRS zone down the pit straight between turn twenty and the first corner; a relatively short run of 580m compared to the regular 700m along the back straight, but one that may well increase overtaking opportunities into the opening turn. Finding grip was the challenge for setup and performance last year, do you expect this to be the challenge once more? As per the previous season, Pirelli have been very conservative in their allocation of the hard and medium compound for this race. On our first visit to the circuit last year, the tarmac was extremely smooth as you would expect from a newly laid surface, which naturally presented a bit of an unknown quantity in terms of tyre performance; the particular challenge being in generating tyre temperature. The uncertainty this time around lies in how much the tarmac will have matured over the past twelve months. In principal, with some of the bitumen having now worn away we should be left with a rougher surface which will allow more energy to be put through the tyres, thereby alleviating the aforementioned warm-up issues. Given the early running times and also the seasonal aspect of when we visit Austin, track temperatures can be relatively low during the morning practice sessions but rise significantly during the afternoons; an additional consideration to factor in when preparing practice strategies. We’re hopeful of a slightly warmer welcome this year, and the forecast seems to be in our favour. Are there any particular challenges with both drivers using different specification chassis? Certainly if we’d started the season trying to learn the car and the latest specification of tyres with different configuration chassis it would have been more of a challenge, but this late in the year we are far more able to accommodate this approach to give both of our drivers what they want from their cars in qualifying on Saturday and in the race on Sunday. Given what we’ve seen recently and after analysing all the data from Abu Dhabi, there’s no reason to say we shouldn’t be right in the hunt to take the challenge to Red Bull. Turn 1: The elevation change at Turn 1 is significant, as the circuit rises steeply before dropping away. Turns 2 – 4: Turns 2, 3 & 4 are flat out at very high speed; around 280kph in seventh gear. Turns 5 – 6: Turns 5 & 6 Not quite as quick as the previous trio, but nonetheless fast; around 220kph in fifth gear. Turn 11: Turn 11 provides a good potential overtaking opportunity, as drivers exit the third gear Turn 9 into the flat-out Turn 10 before braking heavily for this hairpin. Turn 12: Brakes need to be set up to ensure that they are not too cool by the end of the straight, as they will receive heavy usage into this tight left-hander. Turns 13 – 15: Turns 13, 14 & 15 are fairly low speed, second gear corners. The best line through this combination is determined by the kerbs. Turns 16 – 18: Front wing levels are tailored to counter understeer in this continuous, double-apex combination of corners. Rear Wing: This will be set at a similar level to that used in Abu Dhabi. Maximum speed reached on the straight is around 315kph so it has a long straight, but this is intermingled with a diverse mix of corners; both high speed and low speed. Front Wing: Relatively more front wing is required here to counter understeer through Turns 16 – 18 where the car would otherwise push through the turn; killing speed and wearing the front tyres. Suspension: This is a balance between high speed stability for the flat out Turns 2 – 4 and the change of direction requirements later in the lap. Brakes: Brake cooling levels must be set to maintain sufficient heat at the end of the long straight, while avoiding potential overheating in the technical section. Balancing temperatures will be the name of the game, with no issues expected in terms of wear. Engine: Average engine revs sit at around 15,500rpm here [mid to high range vs. other tracks] with 60% of the lap spent with the throttle wide open. Tyres: The most conservative allocation of hard and medium compounds will be in use here. The layout and track surface will make unlocking maximum tyre performance quite challenging, whilst the allocation of the two hardest compounds means degradation is unlikely to be too much of a factor in the race. Everything around us is designed, made, constructed and built. We’re not just talking about the chassis, wings and engines of the cars lined up on the grid, we’re talking about everything. The bricks that make up the walls of the building around you. The carpet you stand on. The phone you play Angry Birds on. The train that brought you to work. All made by machines, all tied together by people, process and technology. Any weak link in that chain reduces its ability to make awesome stuff. Lotus F1 Team is stocked with brilliant minds and has – over time – architected many masterful processes, in addition to making a constant investment in technology. One part of that puzzle which a casual observer may overlook is technology; the fabric that ties it all together and puts processes into practice. Lotus F1 Team chose Microsoft Dynamics for this task and is phasing a roll-out that extends through the team, connecting everything together. The team runs a continuous effort of analysing, designing, building and racing its cars. Rinse, repeat. Perhaps a component is under-performing, or perhaps utilising a different material could have benefits in terms of implementing a new strategy or expanding an existing one. Only by quickly surfacing actionable insights can the team rapidly engage on those decisions. Mastering control over what you make isn’t the only part of the puzzle. The supply chain of talent – from drivers to mechanics – is an essential part of the team’s ability to win. If Technical Director Nick Chester identifies an opportunity to make a change to the car which hadn’t previously been considered, it might require the acquisition of talent. The factory floor to the office cubicle are unified, so the team can focus on getting the job done; not on managing processes and paperwork. 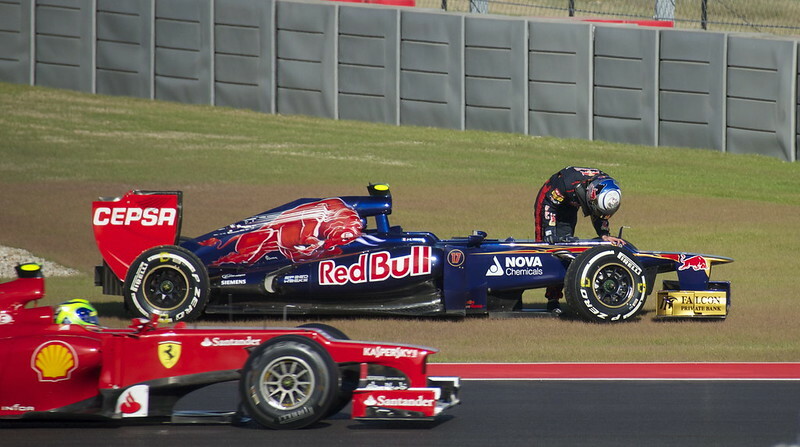 Partnerships are an important thread in the business fabric of any Formula 1 team. When CEO Patrick Louis has visibility into the nature of these relationships, he can better engage with, build and nurture those partnerships. That in turn enables the team to invest more, shave milliseconds off laps, and to fight for those coveted spots on the podium. With HR, Finance and Purchasing already live on Microsoft Dynamics AX 2012, tune in trackside from the United States Grand Prix in Austin for exciting news on the next stage of Lotus F1 Team’s implementation of its new business fabric. Every lap forward with Microsoft Dynamics frees the team up to focus on the objective of creating amazing experiences for fans cumulating by unlocking top slot in the 2016 season. 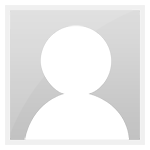 Find out more about Microsoft Dynamics at http://lotusf1team.dynamics.com. Inspired by Formula 1 performance, EMC and Lotus F1 Team bring you this special edition storage system sporting the Lotus F1 Team emblem and colours. It provides VNX5400 data storage preconfigured with flash storage and the VNX FAST Suite. VNX5400 unified storage systems make the most of flash to accelerate application performance and drive down cost of ownership. Revolutionary multicore optimization – MCx – enables four times more transactions than earlier-generation systems, so the infrastructure benefits from a FLASH 1st strategy. The VNX5400 delivers more performance using less capacity, increases efficiency, and drives cost of ownership down. The unified system gives file, block, and object storage, along with efficiency enhancing features like de-duplication, compression, and thin provisioning. Recently unveiled in Milan, this special edition is a celebration of EMC and Lotus F1 Team’s technology partnership. EMC is providing leading technologies to allow it deliver IT services at Lotus F1 Team’s headquarters and trackside locations throughout the world. Here at Enstone, we’re always looking for a different angle on Formula 1; whether it be a fan’s perspective from the grandstands, a behind-the-scenes insight from the team… the unique is what we seek. So, when searching for a guest columnist to feature on the team’s website, there really was only one man for the job… step forward Taki Inoue! Star of the 1995 Formula 1 season in his own unique way, the Japanese maestro has been giving us his Grand Prix reviews since his home Grand Prix at Suzuka; covering everything from shower habits, to British cuisine and how not to become a racing driver. As time permits through the week.. I'll share some stories and pictures from last year's Grand Prix. It was one of the most amazing weeks of my life! Here's a picture of Jean Eric Vergne looking at his front left broken tyre rod which caused him to park his car right in front of where I was photographing! Felipe Massa passes by on the circuit. OK, Here's one more picture.. Kimi on his "warm-up" lap prior to the race! Check out all of the stands!! Schumi trails closely behind..
Now you can say you photographed the great Michael Schumacher on his last season. Kimi heads to Austin looking for a longer race than last time out, and expecting to enjoy some good old fashioned American hospitality. What do you think of the Circuit of the Americas? It’s a nice circuit. The layout is quite interesting and the racing last year was good. The sectors of the track are fairly different, so there’s a challenge there. Last year the days started out pretty cold so it was very slippery, but hopefully now it’s been used a bit more the track surface won’t be as shiny, so it should be easier to get the car as we want it. I competed in seven Grands Prix at Indianapolis. Unfortunately the one time I felt I had a really strong car there it was 2005 when only six cars raced and I wasn’t one of them. I did get pole position in 2003, but none of the races there are ones I remember well. In 2011 I tried NASCAR. I did two races on the Charlotte oval and I really liked it a lot. That was probably the experience I needed to open my eyes for racing again. After that I really wanted to come back to Formula 1, while it was a tempting idea to do more NASCAR too. After going there for the first time last year – like everyone – I’m particularly looking forward to this one. I like the American atmosphere, it ’s just a relaxed environment. They know how to have fun, and most of all they love racing. YiNing & Sonny, hope you would still have a great time in Austin, I'm sure you will! 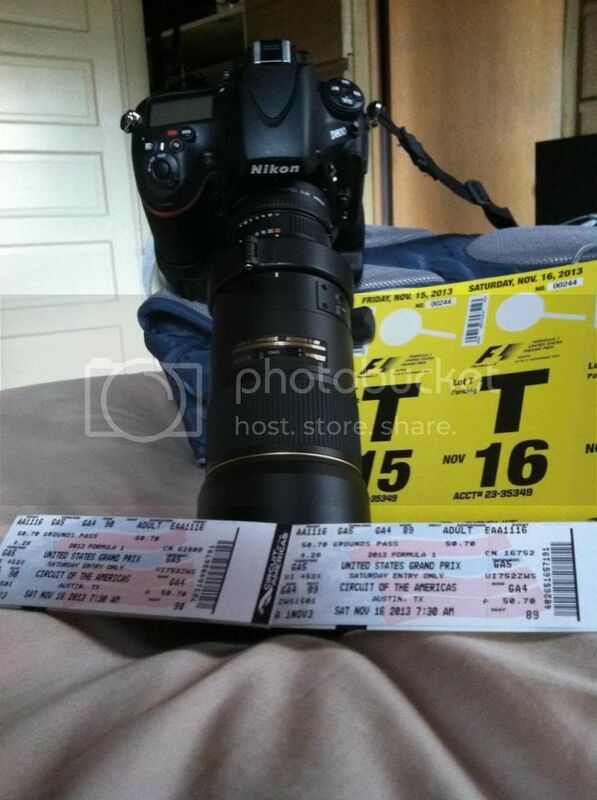 Tickets and Camera. What more do you need for an F1 weekend? Oskari now posted an article on MTV.fi and says the story is "more than emerging."